Stretched along the beautiful beach strip of the Mediterranean, Tel Aviv is Israel's largest city and biggest commercial centre. Visible from a distance with its seafront skyscrapers and exclusive Hotels Tel Aviv presents a lively combination of entertainment venues, shopping malls, exotic markets, nonstop active nightlife, gorgeous golden beaches. Tel Aviv is served by Ben Gurion International Airport, the busiest air transport hub in Israel. Frequently named as the best facility of its kind in the Middle East, the airport is known for its high levels of security and handled 13 million passengers in 2011. Ben Gurion airport is located on the outskirts of the town of Lod, which is about 20 minutes' drive from Tel Aviv. Taxi services can be found outside the terminals and there is also a reliable rail connection. Tel Aviv boasts more of an urban buzz and cosmopolitan flair than Israel's other major cities. It is the second largest city in the country after Jerusalem, covering an area of 176 sq km with a population of roughly 1.2 million people. The modern city was founded in 1909, when a group of Jewish residents in the ancient port of Jaffa drew up plans for a new town characterised by European-style boulevards and green spaces. 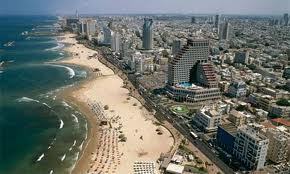 For this reason, Tel Aviv is sometimes referred to as "the first Hebrew city". According to urban legend, the original 60 families who inhabited the town took part in a 'shell lottery' to divide up the land. The leader of the group, Akiva Arieh Weiss, collected 60 white seashells and 60 grey seashells. He then wrote the names of each family on the former and catalogued the available plots on the latter, before pairing them up. The development of Tel Aviv since that moment has been extremely rapid, with the population swelling dramatically after the Nazis came to power in Germany and many Jewish people fled Europe in the mid-1930s. It grew into an important urban centre during the era of British rule in Palestine. Another of Tel Aviv's nicknames is "the city that never sleeps", a moniker it shares with the likes of New York City, Sao Paulo and Barcelona. The metropolis is famous for its 24-hour lifestyle and the fun-loving attitude of its inhabitants, with the lively social scene boasting an abundance of bars, restaurants and nightclubs. Popular districts include the recently gentrified Neve Tzedek and the hip Gan HaHashmal quarter. Tel Aviv's White City is a collection of more than 4,000 buildings in the Bauhaus style, located in the central part of the city. The development was masterminded in the 1920s by innovative urban planner Sir Patrick Geddes, who was praised for adapting modern architectural trends to a new cultural context. The White City was named a World Heritage Site by Unesco in 2003. Tel Aviv boasts a thriving beach scene, with each stretch of white sand boasting its own atmosphere and regular visitors. The entire western edge of the city is really one huge beach, giving plenty of opportunities for people to relax and soak up some rays next to the Mediterranean. People interested in the history of the city should take some time to visit Old Jaffa, which has charmed many holidaymakers with its winding streets and beautiful ancient port. Cultural tourists should find plenty to enjoy at the Tel Aviv Museum of Art, which houses one of the world's largest collections of Israeli artwork. Visitors will also find paintings by the likes of Van Gogh, Matisse and Picasso. For shoppers, the city is known for its many bustling markets that offer an intoxicating blend of tastes, sounds and colours. One of the most famous is the Camel Market, which contains an abundance of fruit and vegetables, clothes and toys. The tiny Al Matbah restaurant is a great place to experience traditional Middle Eastern cuisine away from the tourist crowds. Situated close to the Clock Tower, this family-run eatery was recently described by the Jerusalem Post as "the very definition of a hidden gem". 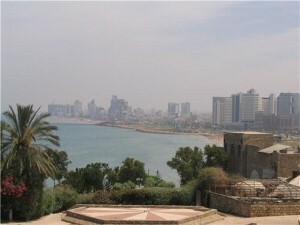 The climate is Israel is reasonably warm all year round, with temperatures increasing significantly in July and August. People who dislike heat and humidity may like to avoid these months and visit Tel Aviv in May or October instead.